Do you Meditate on his word? Today more and more people in the western part of the world are involved in meditation than ever before. This is in one of its many forms, rooted in the eastern part of the world. This is a practice that has long been prescribed by the Lord God himself. In Joshua 1:8, it is instructive, from the mouth of the Lord himself. 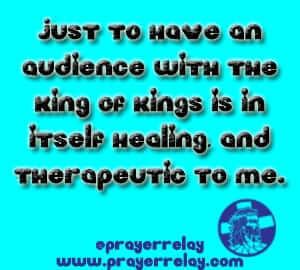 In Psalm 1:2, it is prescriptive. They share an agreement that, there is a blessing upon those who meditate on the Lord’s law, which is his word. The goal of any believer must be to become one with the word of God. It should influence our thoughts and guide our actions as well. 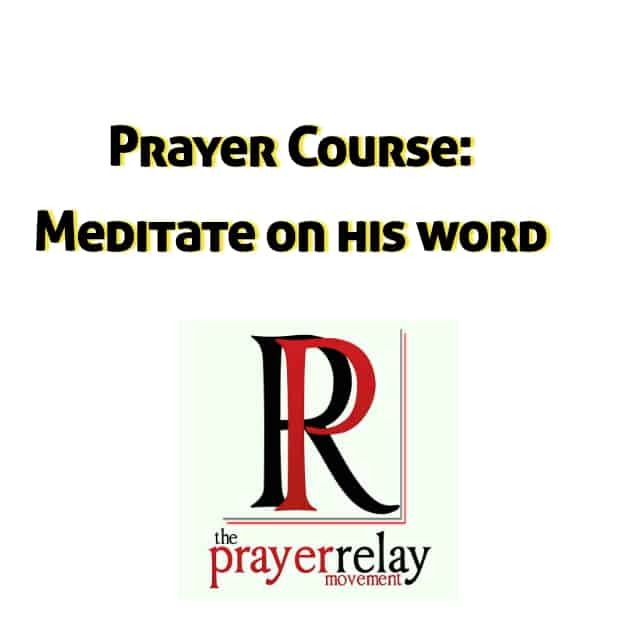 There are many methods that could be used when it comes to how one may go about meditating on the word of God. David said that he had hidden it in his heart, Psalm 119: 11, I have hidden your word in my heart that I might not sin against you. Considering that David was not a perfect man and that he did sin, there is something to be learned about hiding the word in one’s heart. When it is in your heart, it becomes a part of you. The only danger in this, is the lack of reflection that meditation offers. The key word being “day and night”. The human mind and psyche are sponge-like in many senses. The most well-mannered man will find himself letting a foul word or two out of his mouth if he spends enough time around foul mouthed individuals. Meditation is an active process. It is continuing to mull on the word, even when you know it. It is in doing this that we begin to reflect this lamp onto parts of our lives that have long been hidden. As much as one’s walk with Christ is an individualistic goal, there is a need for community to be tied to it. This allows for support in your times of need, as well as for you to also support others when they need it. We are never told of Peter’s prayers when he was in prison, it is the prayers of his colleagues that we read about. It is those prayers that brought him out of prison. There is value in community. The bible says to not forsake the gathering of the saints. Most churches have some sort of mid-week meeting. This is the sort of place where communal meditation takes places. It is a place where the word of God is shared, discussed and considered. The part of meditation in this is finding application for the word that we have discussed. Joshua says, “it should not depart from your mouth”. The normal being mentally processes things before they are to be vocalised. That mental processing is a part of meditating. Psalm 133 tells us how God adores the presence of unity among his people. It is there that he commands his blessing. If we cannot be united by meditating on the wonderful word of the Lord, I do not know what else could bring believers together. We were recently engaged in a lovely discussion about this with a good friend and a brother in Christ. Day to day ministry demands efficiency, planning and meetings with fellow man. All of these are key to making sure that the work of the Lord is carried out well. Unfortunately, we often become carried by our tasks that we neglect the essential presence of the Lord. I love how the scripture accurately describes the tasks that Martha was engaged in as “distractions”. It is very easy to begin to find your worth in ticking down tasks on your ToDo list. Many a gifted minister has become comfortable and even finding validation in the blessing that their gifts are to the body of Christ. This is why gifted prophets and others whose walk is often followed by miracles will veer out of the right path and have no one to correct them. Cast tasks aside that your eyes may always remain fixed on whom you are doing these things for and through. Lord forbid that prayer warriors would neglect meetings with God to have more meetings with fellow men. The power that is exhibited in public should be backed by what has been and continues to be done in private. This is not to say that we must neglect the good things we do in his name, but without a foundation being set in time spent at his feet, we are building in vain. God forbid that we would labour in vain, only to please men and ourselves, but have it fall flat in the Lord’s eyes. This is an essential building block to prayer life. Abiding in him. Every prayer warrior should actively pursue oneness with Christ. Get to a place where you walk in his will and actively seek to correct your ways when you step out of his will. When you abide in Christ, you can no longer be comfortable in your sin, even when it may be brushed aside or accepted by leaders and Christian comrades. Christ himself becomes your standard, not what is acceptable in church eyes. Abide in him, sit at his feet, search his heart. May concealed matters be revealed. 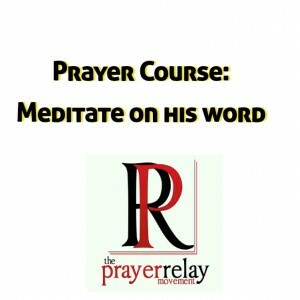 This is module is part of the Prayer Tools, Prayer Course. What makes prayer so defining? Of all our module titles, this one doesn’t sit too well. How can one fully define something as amazing as prayer? Prayer is simple as a concept but rather complex in practice. It is the one area of ministry that no one can police you. Deep down we are all a people who appreciate human appreciation and approval. A well decorated church will get complimented on its look. A great praise and worship leader will be complimented on his/her gift, and perhaps even invited in sing at events. Prayer warriors get none of this glory, yet their work is the most critical. Just let that sit in your spirit for a second. In truth, a “Well done” on earth is one less from heaven. Prayer meetings are still some of the least attended events in most churches across the world. There is no glitz and glamour in prayer. Prayer is just work. It’s effort. It is tiring, and can often be frustrating for the unseasoned intercessor. At the core of it prayer is warfare. You are making a stand for God’s kingdom to come on this earth and his will to be done in the lives of his people. You are making a stand against plots and efforts of the devil and his cohorts. You don’t see it in the physical, but your prayer cause a shift in the realms of the spirit. Something begins to happen when you pray. The moment you began praying, a command was given. And now I am here to tell you what it was, for you are very precious to God. Listen carefully so that you can understand the meaning of your vision. Daniel continued to press in for a response for his prayer, yet the bible shows us that the Lord had long released the answer that Daniel had requested. It was the continual pressing of Daniel that caused the Lord to command his angel to see what was going on. There are situations that we remain in that have long been resolved in heaven. Our giving up on earth before the response has become manifest means the results may never come to pass. Is your view of Christ clear? The role of intercessors is that of stepping in where everyone else has given up or turned away. We can be overly simplistic about prayer, but the Lord says he is after those who will pray in “Spirit and in Truth”. We live in a “politically correct” world, where truth is subjective. The Lord’s truth is universal. Are you and I still seeking that truth? The greatest problem with a lot of learned men and esteemed theologians going as far back as Jesus’ time, is thinking that they have arrived. Thinking that they have figured this thing out. It is the learned scholars that would miss the Messiah’s coming because they believed they knew it all. Prayer strips you of all that false self-awareness and esteem. A know it all, Saul, spent a long time diligently persecuting the God whom he thought his persecuting actions were in service of. Ponder on that for a moment. For it is not at Act 9:4 when the Lord asks, “Why do you persecute me”, that Saul was transformed. There were scales that had to fall out of his eyes. What are some scales that may be hindering your view of Christ? What are some scales that may be giving you a false view of who God is? In this age of spiritual fathers and spiritual children, we must always ask ourselves if we can still see the cross from behind these men and women that we stand. Or are you beginning to mistake them for Christ? Think about it. At its very core, prayer is self-searching, and not self-serving. It is reflective, it seeks to grow. Are you still actively seeking growth in the Lord? Don’t get comfortable, because the disciples were comfortable. Don’t let your moment of exposure become a moment of reckoning. Peter didn’t know himself enough to realise that he could deny the man he often vowed he could die with or for. 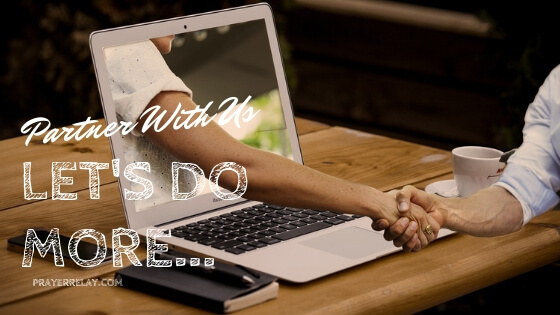 This is a question that we often reflect on as a team. The answer however, lays within each one of us. We decide if the son of man finds faith on earth, with our actions on a day to day basis. Prayer is bridging the gap between a faithless generation and a God who seeks faith. Is this something that you are actively vested in? We are all called to pray that HIS kingdom would come. There are numerous versions of prayer that are seen and demonstrated in scripture. They all share one key ingredient, which is the HEART behind it all. The true openness of sharing everything with Christ. Is your heart in your prayers? It is pointless to simply go through the motions and hope for the best. This is one of our favourite scriptures as a ministry. You see, testimonies are a two-way street. The bible is filled with people’s testimony of Christ and all the other awesome things that the Lord has done. Our day to day lives are filled with these too. The apostle Paul put it best, we called to be living epistles. Your life is a moving testimony, a testament of who God is, or at least that is what it is supposed to be. I would go as far as to say that testimony is a form of prayer. When you showcase the work of God in your life, that is prayer. As we have already received the blood of the lamb, the word of our testimony is the missing link in our journey to living as overcomers. Your testimony is a gift to others. When they hear it, their faith is strengthened. They are reminded of who God is. They are reminded or made aware of what the Lord is capable of. Their faith is built, and you are a part of that. May the Lord fill your mouths with testimonies, in Jesus’ name. Become more vocal in sharing these. It is not bragging, you are bragging on God, not yourself. Your testimony is also a gift to yourself. It is one that affirms your faith. 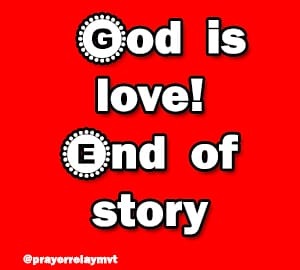 As you share it, it reminds you as well, who God is to you, and what he can and has done for you. Wont he do it again? Martin Luther is known to have prayed loudly, wanted the devil and his cohorts to hear him. When you share your testimony, it puts the devil’s defeat in your case into the open. It encourages others who are under his hold to push further in faith and in prayer. There are people who have been in the dark for so long that they can no longer dare to imagine the light, your testimony becomes that sound that the deaf hear. Blind Bathemeus could not have seen Jesus, he was blind after all. It was the sharing of testimonies and all the wonders that Jesus was doing, that aroused something inside of him. Let your testimony arouse faith inside someone today, in Jesus’ name. 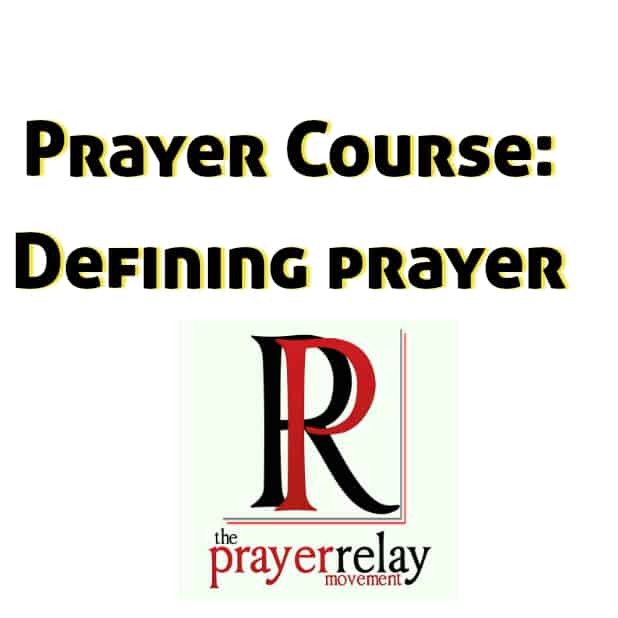 This module is part of our free prayer course. Enjoy it, grow, share it! God bless you!